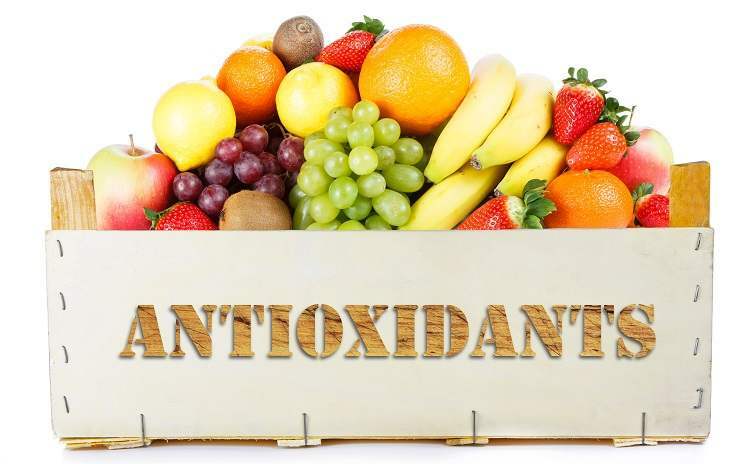 Antioxidants are substances that may protect your cells against the effects of free radicals which are believed to accelerate aging and disease by damaging our body's cells. Free radicals are charged, unstable molecules looking to become neutral by stealing an electron from another molecule. That molecule then becomes a free radical itself and searches to become neutral; thereby setting off a chain reaction. This cascade finally results in disruption of a living cell. Free radicals may play a part in the development of cancer, heart disease, stroke, and other diseases of aging. Antioxidants neutralize free radicals by donating one of their own electrons; thereby ending the electron-stealing chain reaction. Antioxidants do not become free radicals themselves because they are stable with or without the extra electron. They act as scavengers helping to prevent cell and tissue damage from free radicals. Antioxidants include vitamin E, vitamin C, vitamin A, coenzyme Q10, carotenoids (beta-carotene, lutein, lycopene), glutathione, and melatonin. Antioxidants can be found naturally in fruits and vegetables, nuts, grains, and some meats, poultry and fish. The National Cancer Institute recommends 4-13 servings of fruits and vegetables a day. Beta-carotene is found in many foods that are orange in color, including sweet potatoes, carrots, cantaloupe, squash, apricots, pumpkin, and mangos. Some green leafy vegetables including collard greens, spinach, and kale are also rich in beta-carotene and lutein. Lycopene is a potent antioxidant found in tomatoes, watermelon, guava, papaya, apricots, pink grapefruit, blood oranges, and other foods. Foods rich in vitamin A include liver, sweet potatoes, carrots, milk, egg yolks and mozzarella cheese. Vitamin C can be found in high abundance in many fruits and vegetables and is also found in cereals, beef, poultry and fish. Vitamin E is found in almonds, in many oils including wheat germ, safflower, corn and soybean oils, and found in mangos, nuts, broccoli and other foods. In addition to eating a balanced diet of fruits and vegetables, nutritional supplementation can also increase your body's antioxidant defense system. So, if you or someone you know doesn’t like to eat their fruits and veggies Annie’s Apothecary carries a range of multivitamins that are rich in antioxidants to help meet your daily nutritional needs.